Cropsey (population 240) is located in east-central Illinois. The village is located on County Road N 4100 East about two miles north of Illinois Route 165. This places Cropsey in far northeastern McLean County about 25 miles northeast of Bloomington. The Illinois Gulf Central Railroad laid some tracks through the center of town. The history of Cropsey goes back to 1854 when Col. A.J. Cropsey settled there and the village was named for him in 1880 when it was platted along the railroad. Cropsey was part of Anchor Township until 1877 when it broke away from its southern neighbor to form its own community. The school system began in 1859, when a grade school began educating the children of the area. Cropsey started its a two-year high school in 1910, increased it to a three-year school in 1911, then four years in 1920. "The Cropsey High School consolidated with Fairbury High for the 1950-51 school term. They formed Illinois Community Unit District #3. The Cropsey High School was then used as a grade school (grades 1-8), later (1956-57) the 7th and 8th grades were moved to Fairbury. Then eventually the Cropsey School was closed and torn down." "The Cropsey school was used during the time of the Fairbury-Cropsey school district. It was used as a grade school for part of the time and then as a “6th grade only” building for the district." This consolidation, Fairbury-Cropsey High School, faired well until another consolidation effort took place in 1985 and brought forth Prairie Central School District (based in Fairbury) of which Cropsey is now a part of. 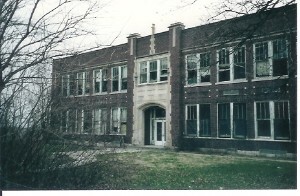 The Cropsey building was torn down at in the mid-1990's after it was declared unsafe during the mid-1970's, and students were relocated to Fairbury. The Cropsey High School Bulldogs' athletic program is only mentioned on the IHSA web site (www.IHSA.org) in the sport of boys basketball. 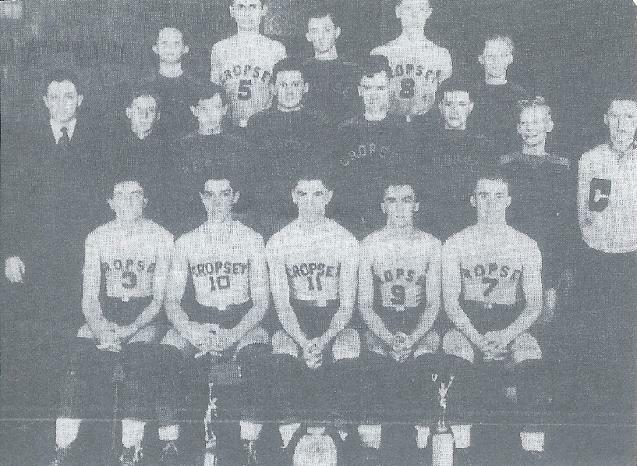 We are certain Cropsey High also offered baseball and track & field, while they were members of the Tri-Valley Conference along with Anchor, Colfax, Cooksville, Towanda, Downs, Ellsworth, Arrowsmith, Saybrook, and Bellflower in the mid-late 1940s. If you have any further information on these sports mentioned and/or any other sports that may have been offered, please share it with us. The Cropsey High School boys knew their way around the hardwood court. 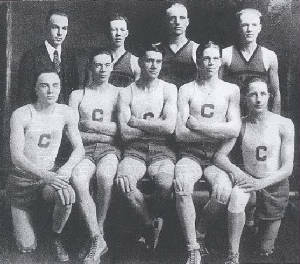 The boys won a total of four District Championships, all within an eight-year period. The Bulldogs also won the McLean County Tournament championship twice, once at the junior division. Other teams of note are not mentioned on the IHSA site. If you have information on other great Cropsey HS teams, including the records and coach's names of the District Championship teams please send us an e-mail.